InfoSAWIT, JAKARTA – Until now the smallholders’ plantations are massive and the issues are too. Based on that the elected Chairman in the 4th National Meeting of Asosiasi Petani Kelapa Sawit Indonesia (Apkasindo) is ready to return the association which helps the smallholders in Indonesia to its real function. The Chairman of Apkasindo, H. Alfian said that he is trusted (elected) in the 4th National Meeting of Apkasindo and he is ready to return the function of the organization. “This is important because there are about 19 million smallholders in Apkasindo,” he said. For information, based on the record in the 4th National Meeting of regional board of Apkasindo within the invitation document No. 008/DPP-APKS/I/2019 which was joined by the regional boards in Indonesia, H. Alfian was elected as the chairman. The election was done by voting two canditates, they were, Gulat ME Manurung, MP and got 8 votings from the regional boards while H. Alfian A, SE got 15 votings from the regional boards. “By more votings from the regional boards trusting me to lead this association, I am committed to improve it. 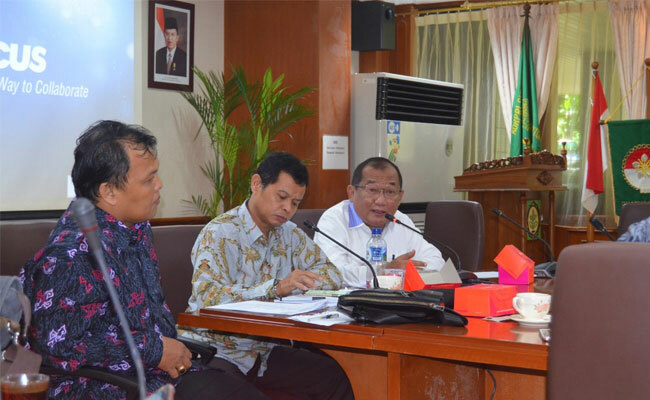 This is the mandate from the boards where the smallholders are in,” Alfian said in Jakarta, Monday (25/3/2019). He also said that it is admitted or not, there are many sides wishing to break Apkasindo in many ways, both from the internal and external of this association. But everything could be told in discussion. “We admit that some would break the smallholders. We are committed to coordinate and help them. This would make us stronger,” he said.